Please park in one of the Visitor parking places out front. The Path service (8:45) is in the building to your left. The traditional service (11:00) is held in the sanctuary. 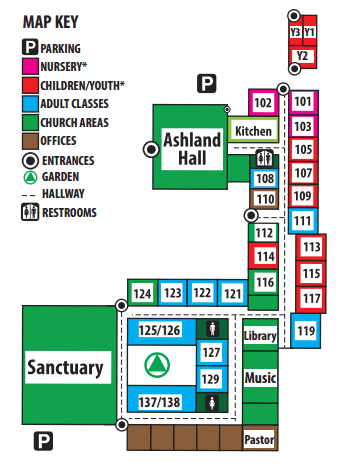 The Welcome Center is located just outside the sanctuary. Greeters can direct you to the nursery/Sunday School classes or to the worship service. We look forward to meeting you.